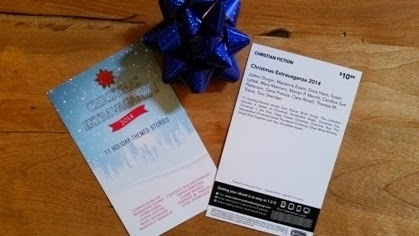 your mailing address so that your Christmas Extravaganza postcard can be on its way! The few weeks between Thanksgiving until Christmas seem to blur as they zoom past. With all the shopping and holiday events, it’s difficult for me to squeeze in reading. Do you enjoy sinking back into a recliner with a great book during the holidays? Are there any particular topics or types of heroes/heroines that you like to read at Christmas? What about length? Do you prefer to read the petite novellas versus longer books? It’s difficult to wrap my brain around this, but in January, I’ll be brainstorming my 2015 Christmas novella, so I’d love for you to chime in! Another example of my wonderful (sarcasm intended!) computer, it erased my first message! ARRRGGG!! I sent you my info and thank you so much! I enjoy sitting in my recliner reading anytime. I guess, winter is the best since it acts as such a great cocoon! I enjoy a strong, goal-minded, confident heroine-the complete antithesis of myself! I recently re-discovered novellas. I read very rapidly and they are perfect for those times, all too frequently, when I can't sleep. They are also great for those all too infrequent times to myself! My reading time is drastically reduced during the holidays, too. Have a wonderfully Merry Christmas and a prosperous, Happy New Year! I do tend to read more in the winter, too, probably for that very reason. Thanks for your input, Robbie! Merry Christmas, and happy reading!